Sabres survey asks fans: How passionate are you about the Sabres? After a disappointing season, the Sabres are looking for your opinions and thoughts on the team, branding and team media. 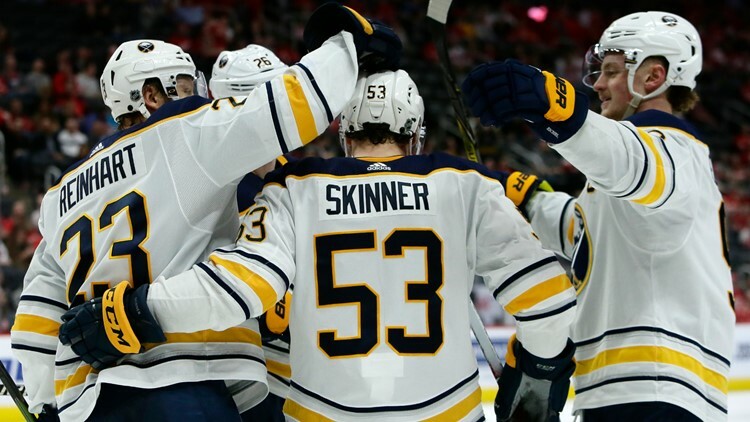 BUFFALO, N.Y. — After a disappointing season, the Sabres are looking for your opinions and thoughts on the team, company branding, and team media. A survey was released by the Sabres asking fans a number of different questions, including, "How passionate are you about the Sabres?" The survey also asked fans about their opinion on local businesses and health insurance companies like Tim Horton's, Fallsview Casino Resort and BlueCross BlueShield of WNY. Near the end of the survey, questions redirect back to fans' opinions of the team. Questions like, "During the season, to what degree do the Sabres occupy your mind?" and "How much do you prioritize your time so you can follow the Sabres?" The survey also asks fans how many games do they attend at KeyBank Center, watch on TV and if fans get news from the team's website or social media pages.